Always private. 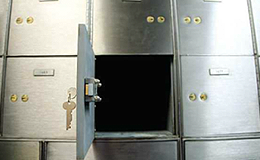 Inwood Security Vaults provides the best in storage space for your prized possessions. Whether you need long term storage or just a safe place to keep your valuables while on vacation, your property will get the privacy and security it deserves. Inwood Security Vaults was built from the ground up to be impenetrable. This includes 12 inch thick, steel reinforced concrete walls, floor and ceilings. 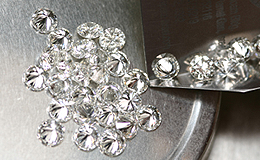 From an heirloom ring to an original work of art, we provide box sizes ranging from 3'' x 5'' x 24'' to 31'' x 15'' x 24''. Lockers and closets are available should you require larger safe space to store your valuables. The only requirements to storing your personal belongings are; they are not illegal, hazardous, flammable, or any item that poses a health or environmental risk. We do not require identification or verification of your identity, pay with cash or check and you may open the account in any name. Access to your box will be controlled by possession of the key and a signature match with the account card you've completed upon registration. We do not keep electronic records, therefore your information remains private. As a box holder your mail remains safe and secure with our assistance. For an additional $495 per year your mail can be delivered to Inwood Security Vaults, we will hold your package safe in the vault and notify you on its arrival.